Pastor Maunula is a graduate of Concordia College, St. Paul, MN and received a B.A. degree in Outdoor Education and an Education/Psychology minor. He attended classes in Greek and Hebrew at St. John's Lutheran College, Winfield, KS. He also attended Concordia Seminary, St. Louis, MO and received an M.Div. degree. 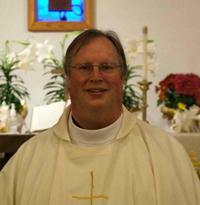 He originally entered college to become a Director of Christian Education with the desire to work at a Lutheran camp. God led him to enter the pre-seminary program while still in college. He is married to Sharon (how graduated also from Concordia College, St. Paul, MN as a Lutheran school teacher with an emphasis in early childhood education) and they have five children (Heidi, Tarja, Jaakob, Martti, and Joel). The best times to call are generally in the mornings from Monday to Friday (office: 320-676-8774; home: 320-676-3435). LeAnn was born in Faribault, MN and raised in the Isle/Wahkon area. On May 26, 2018, she married Cody Gregoire who is also from the Isle area. She graduated from Concordia University of Wisconsin in May 2018 double majoring in Lay Ministry and Theology with focuses in Parish Teaching and Pre-Deaconess. She is currently enrolled in online courses through Concordia Theological Seminary of Fort Wayne in the Deaconess Studies Distance Program.